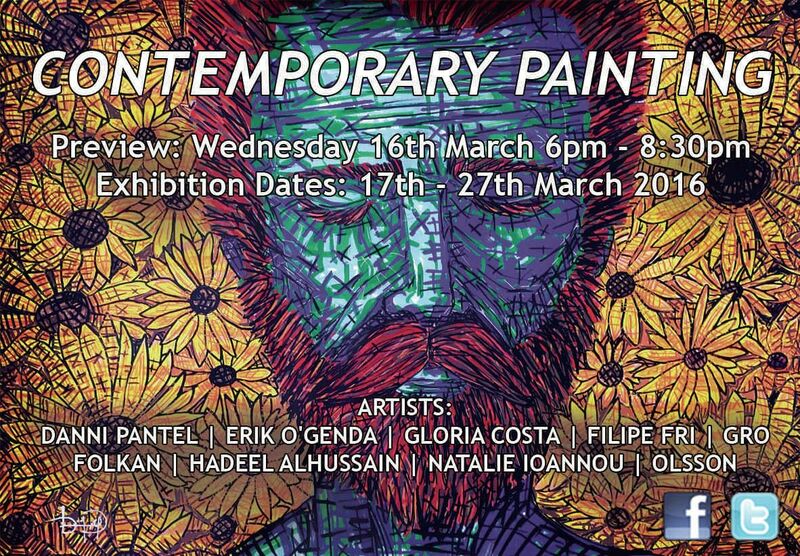 Contemporary Painting brings together an explosion of colour, shapes and different themes, showing the diversity in which paint can be used to communicate our thoughts, feelings, dreams and reality. Natalie Ioannou presents a series of works, which explore how every year, London’s city limits expand further in to untouched land, quickly changing the habitats of surrounding wildlife. Animals who are well suited to their urban surroundings are seen abundantly in all areas of the city, while other less adaptable creatures are in decline. In the works by Gro Folkan we can see Art is a language and each piece of art a statement. Her artworks are often abstract, not nonfigurative, but abstract- extracting or emphasizing certain aspects of the idea or structure at hand. As in ”Femal Rune” the runes originally being magic symbols to enable contact with that which is not obviously visible. 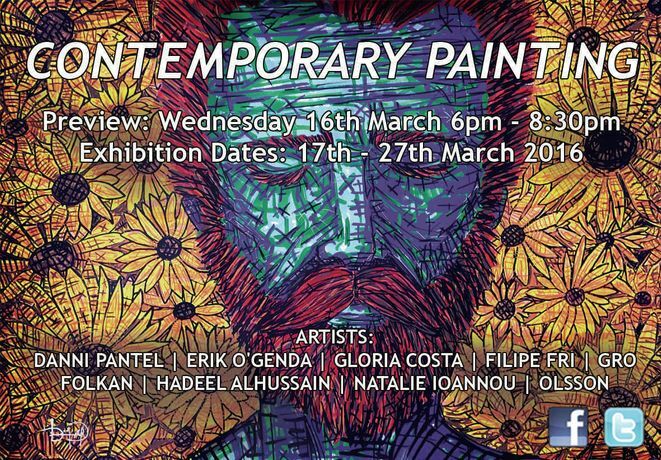 You are warmly welcome to join us for a drink with the artists at the opening night of CONTEMPORARY PAINTING at The Brick Lane Gallery open from 6pm-8.30pm on Wednesday 16th March 2016.